Etching on shower doors is caused by hard water stains. Hard water is filled with minerals such as calcium and magnesium, and because of this, it creates a slew of cleaning problems. It prevents detergents and soaps from performing properly, and when the minerals dry on your shower door, they and the soap residue from bathers leaves the shower door with a dirty, dingy "etched" look. Fortunately, you can remove this and clean your shower doors without using toxic chemicals. 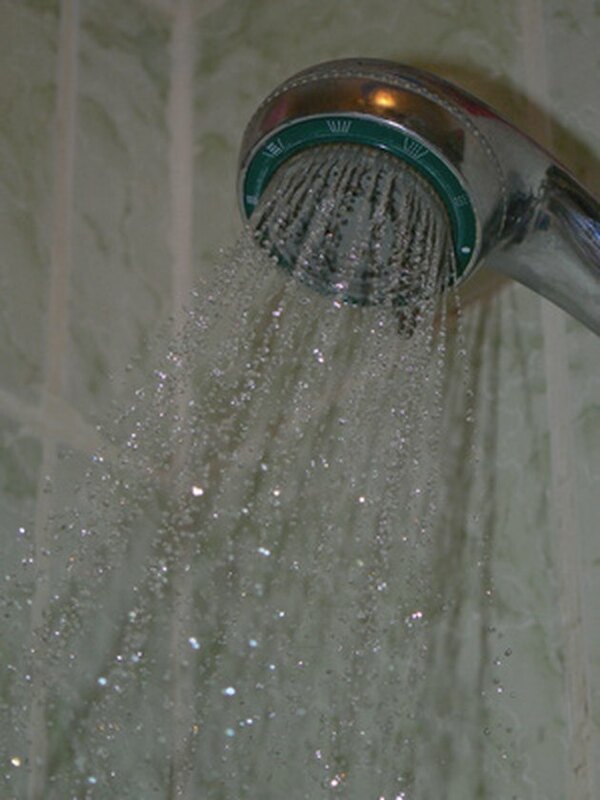 A shower can quickly become dirty and dingy looking if you have hard water. Fill a small bowl with white vinegar. Saturate a scrub brush with the vinegar and vigorously scrub the etched stains until the shower door is cleaned. Rinse the shower with cool water and wipe dry with a towel. Create a paste with 1/4 teaspoon of white vinegar and 2 teasoons of baking soda. Using a damp sponge, scrub the etched stains with the paste. Continue scrubbing with the sponge until you have removed the etching and cleaned the shower door. Rinse the shower clean with cool water and use a towel to dry it. Fill a clean spray bottle with white vinegar. Apply the vinegar liberally to the shower doors. Scrub the shower doors with a cloth. Continue scrubbing and applying the vinegar until the stains are no longer visible. Rinse the vinegar off the shower door with cool water and wipe dry with a towel.